As previously reported, Noctorum featuring Marty Willson-Piper (formerly of The Church) and producer Dare (Andy) Mason are set to release a new record titled The Afterlife on February 15th. The Afterlife is the duo's fourth album overall and their first long-play in almost 10 years -- Willson-Piper has been making music all along, but had been focused on other projects including MOAT and The Saints during this time. 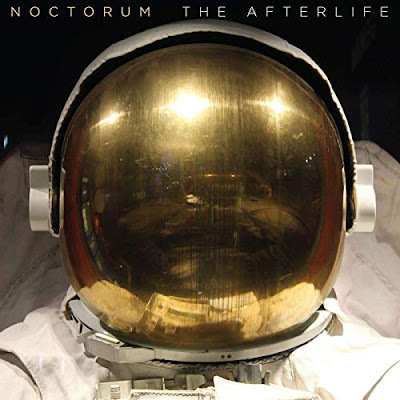 The return of Noctorum was more than worth the wait, The Afterlife features strong songwriting and many intriguing musical moments, including the enchanting and addictive single "The Moon Drips," which features mariachi trumpet and haunting harpsichord. The Afterlife previously available exclusively through Pledge Music, now enjoys a wider release this Friday and is available on heavy-weight gatefold vinyl, CD and as a digital album download. Pre-order here. Stream a few songs off The Afterlife below and catch up with Noctorum here.